Let's face it. I cannot physically be available 24 hours a day and 7 days a week. There needs to be a way for your potential buyers to get information any time that they want. My solution for this is an automated system called Mobile Real Estate Marketer. 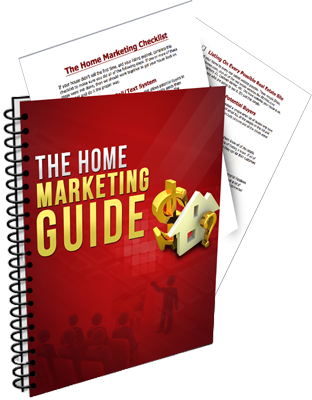 (www.MobileRealEstateMarketer.com) This amazing software gives buyers all of the information they want on your house through an automated phone number they can call or text! Here’s how it works. 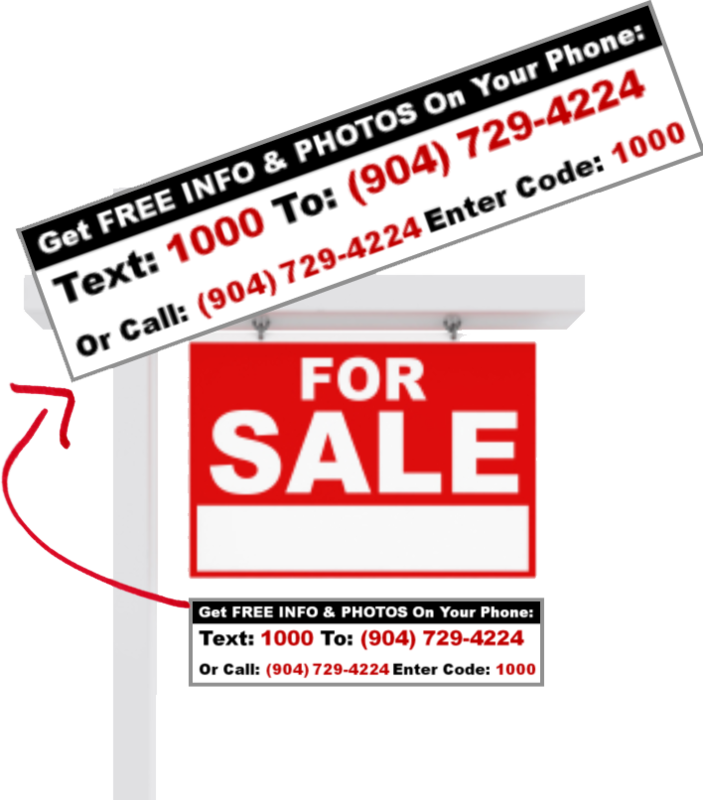 I will hang a sign rider to your existing for sale sign that says, "call or text this number for information". Everyone who drives by your house will see it, and they'll be able to get the special number off of the sign. When they call or text the number, the software system system sends out pictures and information straight to their phone. 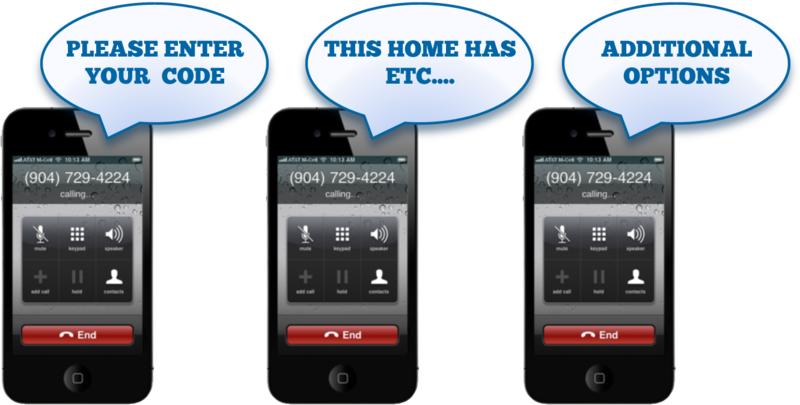 If they call the number, they'll get an pre-recorded message that I've made that gives all of the details on your home. This can include the square footage, price, acreage, etc. If they text the number, the software will send them pictures of the outside and the inside of the house. And these pictures will be extremely nice. I'm going to cover some more about pictures a little later in this report. The other nice thing about this software is that a lot of today's buyers want to find out the information on their own. They don't want to have to go through an agent just to find out a little information. Let's also get a website exclusively for your home! This tool is great because it's just a simple link that you and I can both give out to people in the area. They can go to this one page and learn everything about your house. When shopping for a home, 89% of buyers will be looking online. If your house is beautiful, but your pictures don't show the same thing, you aren't going to get results. People aren't going to want to come and look at your house in person if they already have the idea that it doesn't look good. The solution to this problem is simple. I have professional pictures taken of every house that I list. Professional pictures make the subject look so much better. 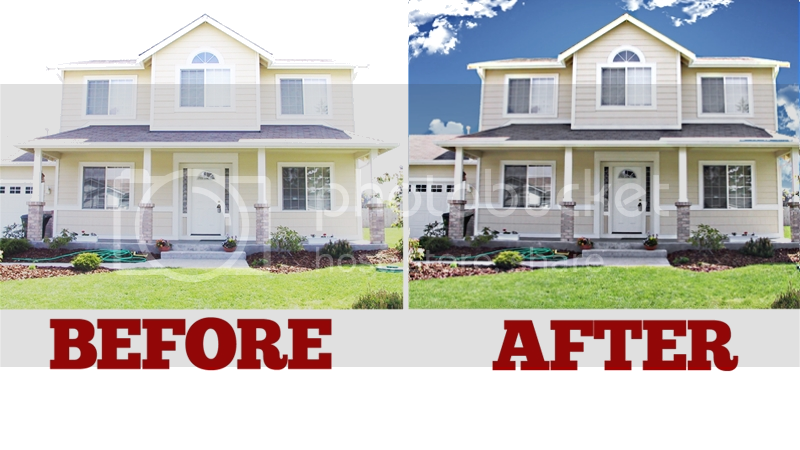 The professional photographers know what lighting looks good and how to get rid of the shadows and just how to make your house look it's very best. After the professional pictures have been taken, I get my designers to enhance the photo in Photoshop so that it looks it's absolute best. When looking online, pictures are the number one things that buyers looking at. 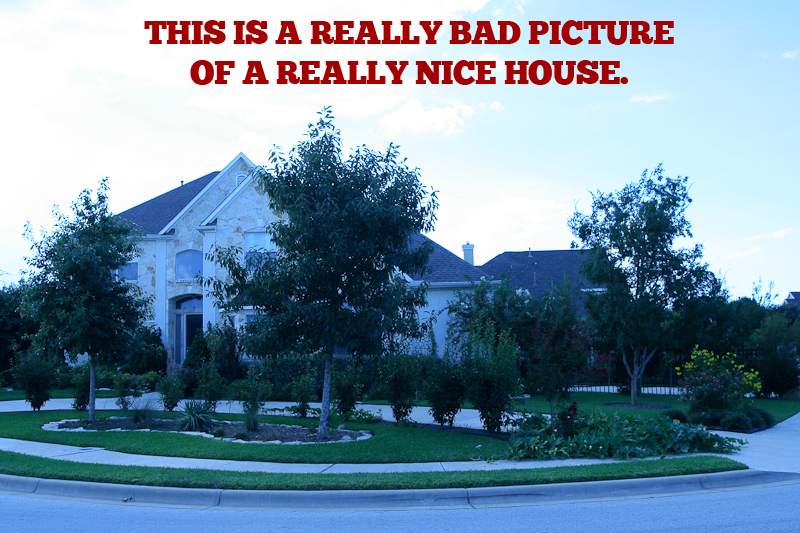 If the house is nice, but the pictures are bad, then you've just lost a potential buyer. Here, look at this example. This is a really bad picture of a really nice house. Although this house is probably one of the nicest in the area, the pictures are not professional and it makes it look really bad. This is a huge turn-off to buyers and they generally won't pursue any further interest after seeing pictures like this. Let's get your house listed in the MLS system. If you list with me, you will automatically get an enhanced listing on Realtor.com. These include Zillow, Truial, Homes.com, plus all of the real estate websites like RE/MAX.com/ KW.com, Century 21, Coldwell Banker, etc. I'll also drop a postcard to everyone in your area (direct to every door) to let them know your home is on the market. If there's anything we can tweak in our marketing strategies, getting the proper feedback will show us what that is. We can then take what we've been doing and improve it to get better and faster results. P.S. If your house didn't sell the first time you had it listed, then let me help you get it back on the market, get it sold for the price you want, and do it fast! Give me a call or email me and let's talk about these and more strategies that can REALLY help boost your the chances of getting your home to sell.